Windows are the main source of natural light, heat or cold in the home. By motorizing and connecting shutters, you help improve your home insulation for your thermal and visual comfort and help save energy. 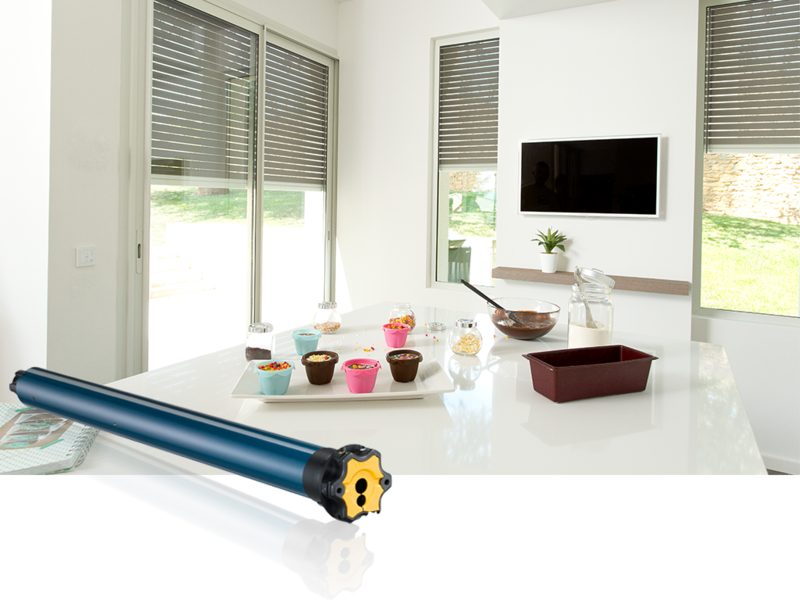 Motorized rolling shutters also contribute to your home protection, preventing potential break-ins or allowing ventilation with your window without compromise with security. They can as well close automatically to manage intimacy at night and complete, undisturbed darkness. 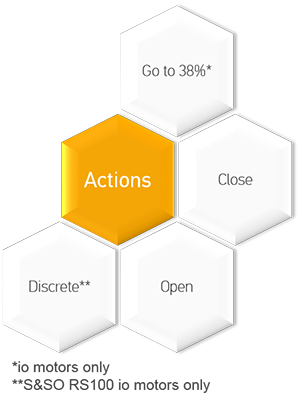 Our Open APIs give access to shutters control on all key end user control actions. To control Somfy radio motors through our APIs, a Somfy box (TaHoma or Connexoon) with Somfy protocols will be required. It will enable the end user to create his account with Somfy and use the embedded protocol to control our motors (initial pairing and then control). Somfy offers rolling shutter motors under two radio protocols. io-homecontrol is a secured bi-directional radio protocol allowing equipment to give feedback on their status and fine position control. Ideal for Smart Home and remote control. It is also secured with an encryption key dedicated to each installation. io-homecontrol is integrated a multi-brand wireless technology, used by major players (Velux, CIAT, Atlantic, Secuyou and Window Master) and a reference technology for professionals. RTS is Somfy's historic radio protocol and has more than 10 million installed equipment today.